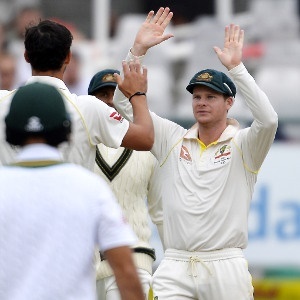 Sports Rendezvous: Open letter to Australian skipper Steve Smith. Open letter to Australian skipper Steve Smith. Cape Town - A moving open letter to Australian captain Steve Smith from an Australian cricket fan and father. I wish you could see my son! I’m an Australian living in South Africa. I love cricket and I love my country. When I heard that Australia was touring South Africa for Test cricket I was excited, so excited that I tried to convince my wife that we should buy tickets for our whole family - 4 boys - to go for a day of the Newlands Test. She said we couldn’t afford it - she was right. So we settled on just a ticket for me and the one son who enjoys cricket the most. We saved up and at the end of last year we bought the tickets and gave them to him and me as our Christmas present - 3rd Test, Newlands, Day 3, Saturday, March 24.